Proud Member of the Better Business Bureau of Central Va.
Nice 2-story brick home on 1.156 acre lot with great location in the town of Appomattox. 4bed/2bath large home features spacious living room, dining room, den, kitchen, storage and back porch. Also features nice storage building and landscaping. This house has character. 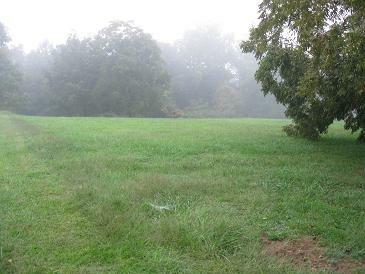 Nice 2.237 acre lot in the middle of the town of Appomattox off of Harrell St. Lot lays well. Property is wooded and open. Perfect for building. No single-wides or double-wides. Listed by: Call the representative you have been working with. Singlewide on 1.17 acres on Robinson Rd. in Appomattox. Home is 3bed/2bth and features refrigerator and stove. Nice spacious layout. Lot lays well and is in a good location on quiet road. Vinyl sided, shingle roof and brick foundation. Heat pump. Home needs some TLC. NICE 15 ACRE FARM PROPERTY WITH 3BED/2BTH 2-STORY BRICK HOME OFFERING NICE SECLUSION AND COUNTRY LIVING. PROPERTY FEATURES BARN, SHED AND 2BED SINGLE-WIDE AT BACK OF PROPERTY. NICE FENCED IN PASTURES FOR ANIMALS. Home in need of renovation situated on 1.03 acres fronting on 501 just outside of Brookneal. Home is in a great location and has a lot of potential. 3 Bed/2bth manufactured home on 9.85 acres in Chatham. Home needs interior remodel. We have begun some renovations. The bones of the home are good. Nice 2.20 acre building lot located in Wild Rose Subdivision in Amherst. Lot has 150 ft. of road frontage and is the perfect building lot for your new home. Beautiful commercial tracts perfect for small or large business. Long road frontage on the Western end of Highway 460 in Apoomattox. Town water and sewer. Great access. Lays wonderful. Seeded and ready for building. Nice 5 acre tract with great location on Cub Creek Rd in the Promise Land area of Appomattox County. Property lays well and is perfect for building. Quiet country road offers peaceful atmosphere while in good proximity to town. Features existing septic! 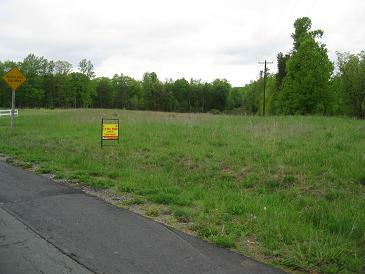 1.98 acre lot with great location on Double Bridges Rd in the Promise Land area of Appomattox County. Property lays well and has existing well near front of property. Great lot for building, no restrictions. 10 acres located on Clay Pipe Rd. in Pamplin. Land is rolling, has some nice woods and great road frontage. Great place for building. 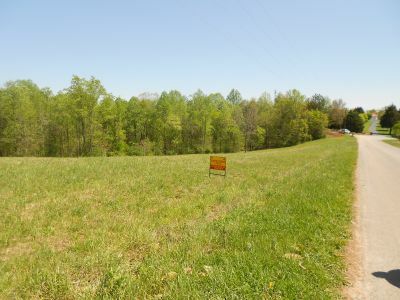 14.53 acres with prime location in Appomattox county, perfect for horses or cattle. 200 ft. of road frontage on St Rt. 26/Oakville Rd approx 2 miles from town of Appomattox. The property features brand new gates and fencing and has a 120'X40' cinder-block barn. The barn has a new roof and electric, newly built tack room, loft for hay and nice cattle shoots. Property features nice existing perk site for building and will have a NEW WELL INSTALLED when sold. This tract also has water taking in a portion of a small pond at back line of property. Listed by: Ronnie Bryant Sr.
2.36 acre tract off of Rockspring Rd./St. Rt. 636. Property lays well. More info coming. 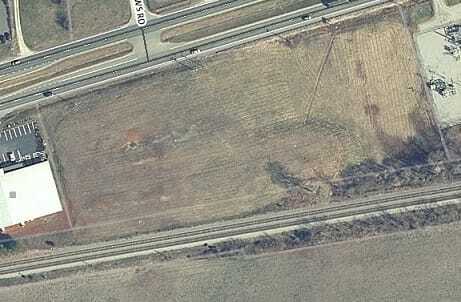 3.00 Acre lot with road frontage on Hwy 460E/Richmond Hwy as well as frontage on Wade's Lane. Property lays well, has woods, creek and is a great property for building. Gorgeous 4 acre open parcel with beautiful building site overlooking the mountains. Surface treated driveway just built. Beautiful area and nice neighborhood. Across the road from Clayton’s family farm! Nice 2.32 acre cleared lot fronting on Rt 24/Old Courthouse Rd. and St. Rt. 724/Mountainview Rd. Perc approved and electric. Could possibly be divided into 2 parcels. Breathtaking 158+ acres divided into 7 tracts. Land lays well with gorgeous building sites and nice roads throughout. Great location to town of Appomattox while offering beautiful scenery and wonderful privacy. Creek on every tract. Perfect for building or recreating. Absolutely breathtaking 115 acres divided into farm tracts located off of Horseshoe Rd. in Appomattox County. These properties are perfect for building, farming or recreating. Land lays wonderfully, offers beautiful country scenery while in great location to town. Right down the road from the Appomattox County Historical Park. Percs and electric available; no mobile homes. These tracts will not last long! This 10.5 acre lot is for the horse lover, outdoor enthusiast, builder, and investor. Not only is it located in an equestrian friendly subdivision just minutes from the Town of Appomattox but it also lays well and is off of private drive located off of St. Rt. 604. Property offers a nice large riding/walking trail about 2 miles long. This a wonderful horse community. Beautiful 6.97 acre tract located only a minute from Main Street on Cook Ave in the town of Brookneal in Campbell County. Acreage lays well, half wooded in hardwood/pine mix with the remainder open. Electric already on property. Located across from nice retirement home, secluded while being in great location to town of Brookneal. Gorgeous wooded properties near Holiday Forrest. Panoramic mountain views overlooking Lynchburg and Rustburg. There aren’t many undeveloped tracts like this available anymore! No singlewides or doublewides. These wooded tracts have a lot of frontage on St. Rt. 600 (Dog Creek Rd). Tracts have been cleaned up, have re-seeded in some places. This property is located near Brookneal. There are nice drives built into the tracts, as well as beautiful clearings which showcase nice building sites. Tract 3: 16 acres in growing woodland with nice clearing. Nice driveway and building site. Pretty views. Tract 4: 8 acres nicely secluded with driveway leading to beautiful clearing. Nice building site, with pretty views. Very nice tracts of land near the school fronting on St. Rt. 786 off of 47. Properties have much road frontage, lay exceptionally well and features beautiful building sites. Unbeatable prices. Beautiful farmland on Clay’s Mill School Rd. Tons of road frontage on both sides of the road. Beautiful open pastures and hayfields. Tracts 1-5 have creek frontage. 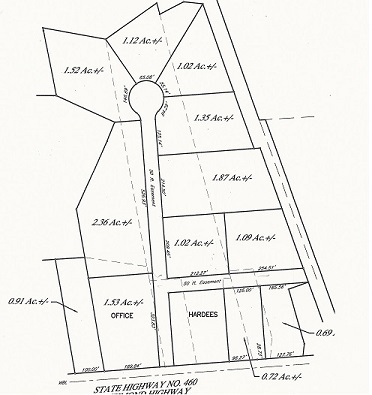 (10) 2+/- acre lots fronting on Mulberry Rd. and Felix Rd. in Nathalie. Land lays well, mostly in pretty pastures. Electric on site, perc approved. No restrictions. Will finance! 130+ gorgeous acres right off of L. P. Bailey Hwy in Halifax. Property is wooded and has 60 acres in beautiful hayfields. Land percs well, has St. Rd. frontage, electric and is ready for building. Perfect property for cattle or horses! Will subdivide. Beautiful 3.05 acre building parcel. Gorgeous building lot with beautiful hayfields, a wonderful knoll to build on and a tree line on the back line. These tracts lay well in pine plantation and are perk approved. Great building sites! Seclusion. 2 wooded lots on Asbury Church Rd. in Vernon Hill/Halifax County. Lots lay well, perc and are perfect for building. LOT 1: .68 acres fronting on 676. BEAUTIFUL BUILDING SITES! PARCELS 12 and 13: These 2.5 acre lots in near Prestwould Plantation and Prestwould Subdivision have frontage on Prestwould Drive. They are wooded with beautiful growing pines and are located approx. 3.2 miles away from Clarksville and not even ¼ mile from the water! Lot 3: 2.17 acres touching Corp of Engineers around Buggs Island Lake and only minutes from most beautiful part of Kerr Lake. Beautifully wooded with large timber and nice homes nearby. Great place to build. Conventional perk site! in an established lake community with very substantial home. (2) 1.5+ ACRE BUILDING LOTS!Great location to Farmville and even Appomattox. Properties have nice clearings and some wood lines. 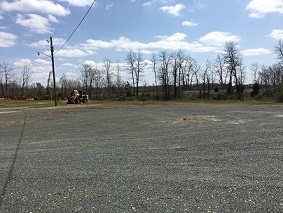 2.4 acre commercial lot across from Clayton C. Bryant Land Co. in the town of Appomattox. Great location on 460 East/Richmond Hwy for a business. Beautiful open land fronting on Hwy 460 and St. Rt. 609 in Concord. Excellent location for new business. MUCH LAND AVAILABLE NEXT DOOR TO OUR OFFICE AND THE NEW HARDEES. SOME FRONTING ON HIGHWAY 460 AND SOME FRONTING ON THE NEW SOON TO BE STATE ROAD TO BE NAMED, CLAYTON BRYANT DRIVE AND SOME FRONTING ON THE SOON TO BE STATE ROAD TO BE NAMED, VIRGINIA LEE LANE. THESE TRACTS WILL HAVE STATE ACCESS OFF OF ONE OF 3 STATE ROADS. 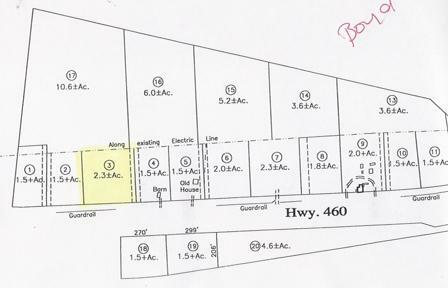 FRONTING ON HIGHWAY 460 TO THE RIGHT OF HARDEES WE HAVE A 0.72 ACRE LOT AND A 0.69 ACRE LOT WHICH IS TO THE LEFT OF CARWASH. THESE TRACTS CAN BE SOLD SEPARATELY OR TOGETHER. BORDERING ONE STATE ROAD IS A 1.09 ACRE TRACT. 5.42 Acres w/ 272’ of road frontage on US-15. Gravel entrance and lays in beautiful pastures w/ some woods. This gas/service station has all the gas pumps, tanks, compressors, etc. and is ready for buisness. The brick building is in excellent condition and very neat. Fronting directly on 501 in the heart of Brookneal. Call for more info.